Corn is one of the most consumed vegetables in the world today. It can be found in everything from bread to juice drinks to your everyday hamburger meat. 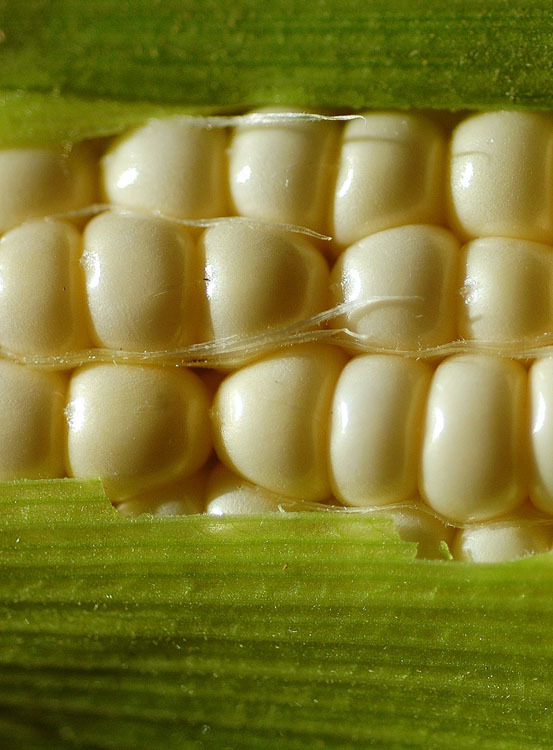 The general public usually does not realize just how much corn is hidden in food products. It is a concern with the growing obesity problem in this country as corn has a lot of carbohydrates and sugars. But corn is not all bad, even though an ear of fresh corn can be 100 calories, it does contain protein, fiber, folate; and vitamins C, B and beta-carone. So basically read your labels and do your research when shopping at your local markets! European use of corn started with Christopher Columbus’s men discovering it in what is today the Island of Cuba. They brought it back to Europe on either the first or second voyage to the “new world.” But Maize has had a very long and very rich history way before those fateful journeys. The birthplace of corn is unknown but evidence has corn pegged as native to the Americas/Western Hemisphere. The first recordings of corn pollen was around 80,000 years ago and the oldest corncobs found have been dated back 5,000+ years ago. There are many varietals of corn. The most commonly used in cooking in America today is sweet corn; other varieties are dent corn, waxy corn, pod corn, popcorn, flint corn, amyl maize, and flour corn. Dent corn is used mostly for feeding livestock and used for making industrial products and popcorn is a type of flint corn. Today corn is used extensively in artificial sweeteners (corn syrup); food for poultry/livestock; food for humans; and various chemical products such as insulating materials, adhesives, explosives and many more products. Outside of the US, Canada and Australia, corn means any cereal crop. Also the word, maize, comes from the Spanish version of the indigenous Caribbean peoples word for the plant, maiz. Thank you for reading today’s blog post, I hope it was entertaining and informative! Send us your food tattoos and recipes, we would love to feature you! Photo by the lovely Michelle Roberts!